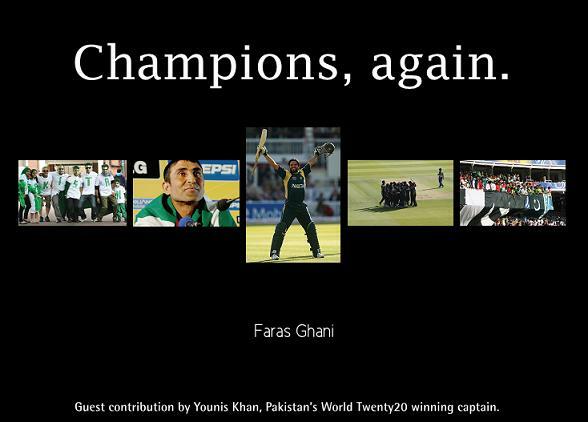 Relive Pakistan’s triumphant World Twenty20 2009 campaign in “Champions, again.”, a 96-page memorabilia that carries the reader through Pakistan’s 21-day sojourn in England, through the depths of despair against India to the reaching heights against Sri Lanka. “Champions, again.” compiles exclusive content from England, compiling articles done for DAWN newspaper while covering the event. 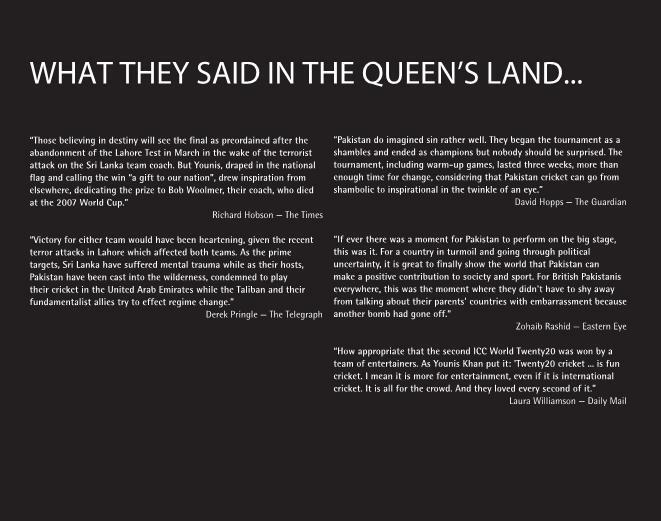 It also contains added comment and opinions as well as exclusive photographs from Pakistan’s matches and training sessions. 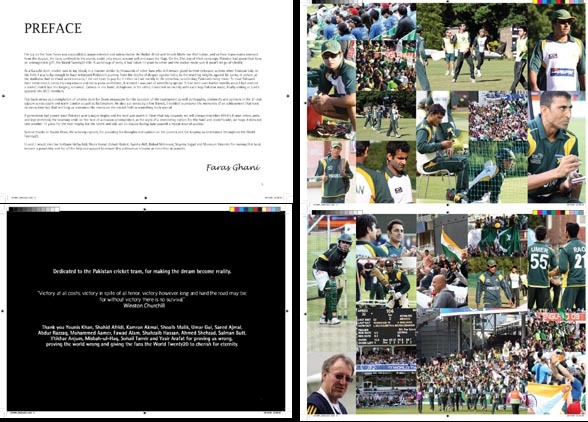 The A4 landscape glossy pages give the book a souvenior look which not only allows the reader to relish in the glory the team brought its nation but also enjoy the presentation in the coffee-table style offering. Guest contribution by Younis Khan, Pakistan’s World Twenty20 winning captain, which delivers insights from the captain’s minds, the preparations prior to the start of the tournament as well as the atmosphere in the dressing room during the troubled waters. “Champions, again.” is available to order online now for £10/$15/Rs800 (international exchange rates apply) plus P&P. Please email me (faras.ghani[at[gmail.com) for payment and delivery details. Delivery will be via normal airmail unless specified otherwise. Please allow upto 21 days for delivery and specify delivery address when making the payment.